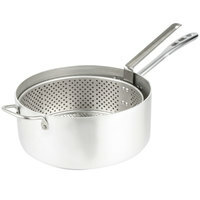 Fryer pots allow you to cook small batches of French fries, hush puppies, chicken tenders, or breaded vegetables. 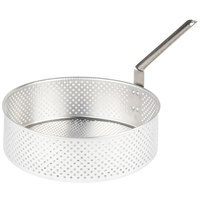 If your business doesn't need a fryer or you don't have room for one, these pots will help you cook delicious fried foods without a larger piece of equipment. 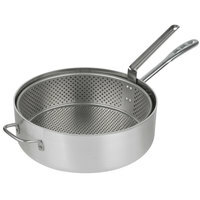 We offer fry pots as well as fryer basket sets to suit your needs. 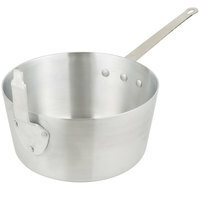 With a fry pot, you can choose the type of inset you prefer and simply connect it to the side hook. 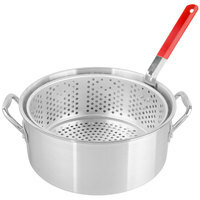 You can also choose fryer pots that come with baskets, so you have everything you need in one purchase. 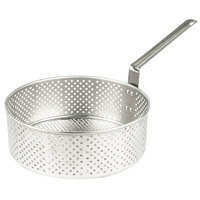 These baskets have small holes that allow oil to drain and solid foods to be lifted out of the cooking oil. 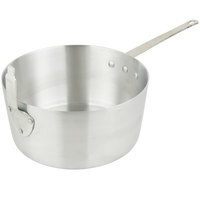 Choose from multiple sizes and capacities to suit your serving needs. 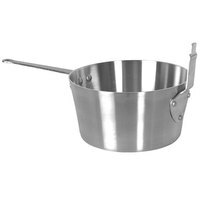 You can find small pots for an occasional batch of homemade donut holes or extra-large pots for big quantities of fries and onion rings.